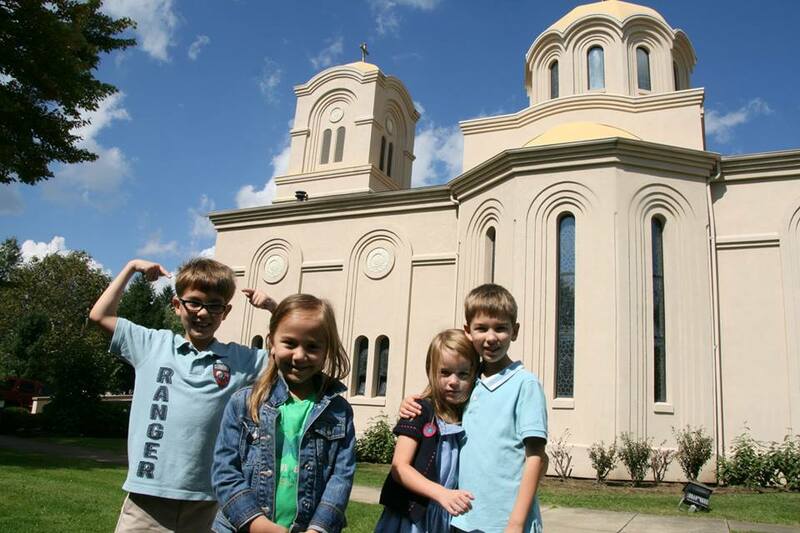 Hermitage, PA - For the second year in a row the St. George Serbian Orthodox Church in Hermitage, Pennsylvania hosted the Orthodox Food Festival, held this past weekend September 20-21, 2014. This was the second year that this event was held in the Shenango Valley, in Northwest Pennsylvania and this year's event turned out to be a huge success. The event was featured on the local NBC Saturday morning show and front page coverage on Sunday's newspaper. Participating churches included Holy Annunciation Greek Church in Farrell, St. John the Bapist Ukrainian Church in Sharon, Holy Cross Romanian in Hermitage and the host parish, St. George Serbian Church in Hermitage. The idea of having one, common festival featuring all the ethnic tastes started last year when leading members of the local Orthodox churches met together with their clergy to discuss the possibilities of joining forces and organizing one event which over one weekend would benefit all churches. Planning for this year's event started in March and the festival included food, drinks, live entertainment and church tours. There was no admission but donations could be made to the the local food bank, the Community Food Warehouse. The Orthodox community was proud to be able to present a check of $1,200 to the Food Warehouse towards the end of the second day of the festival.